Multi prize-winning pianist Adam Johnson was a Scholar and Junior Fellow at The Royal Northern College of Music UK, performing under the baton of Kent Nagano, Martyn Brabbins, and George Hurst, making his Concerto debut aged 15 playing Mozart Piano Concerto No. 15 in Pavlovsk Palace, St. Petersburg, conducting from the piano. He furthered his piano studies with Prof. Peter Feuchtwanger who has described him as in possession of ‘an excellent technique and full of fantasy’. Unique among the outstanding artists of his generation, Johnson is as equally at home conducting opera as he is fulfilling the role of soloist in concerto repertoire, playing chamber music, or directing his own large-scale compositions. 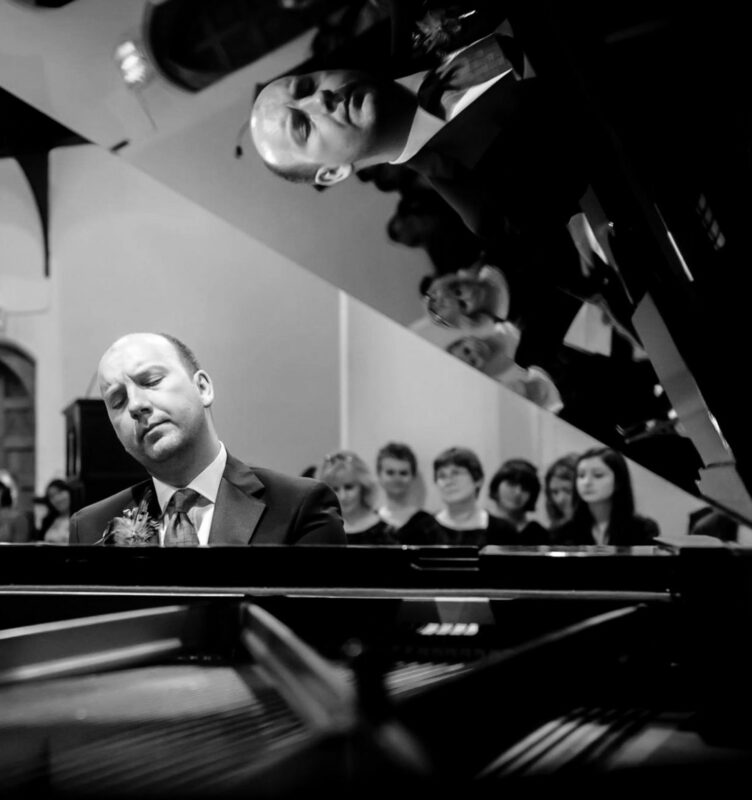 Adam has given recitals throughout the world including Istanbul, New York, Northern Spain, Norway, and Rio da Janiero, not to mention his demanding schedule in the UK. In 2008, he completed a Masters Degree in Conducting at The RNCM under the direction of Sir Mark Elder C.B.E, and was awarded the Ricordi Operatic Conducting Prize 2007. Adam is currently the Artistic Director and Principal Conductor of The Northern Lights Symphony Orchestra. In 2011 he was elected as a Freeman of the Worshipful Company of Musicians, and more recently was rewarded as a Fellow of the Royal Society of Musicians. Formed in 2007, the ŃLSØ presents professional concerts at the highest level both in the UK, and worldwide. The NLSO are unique across the world in our specialisation in repertoire of composers born within the Northern Lights (Aurora Borealis) region, and their innovative programming includes composers from these territories alongside other orchestral works. Delighted to be named Orchestra in Association with The Sibelius Society UK, the NLSO are proud of the ongoing international links we have forged with Norway, Sweden, Finland and of course our support in the UK. The NLSO prides itself in providing interesting programming with symphonic repertoire in central London with only the finest musicians. It is only through the belief from our supporters, and within our unique orchestra that we have come so far so quickly. Their continually growing Friends of the orchestra is testament to their following, and the NLSO is sincerely grateful for all the support from our loyal audience members.